Studies show that exposure to a second language in early childhood is highly beneficial. Beyond opening the doors to diverse career opportunities in the future, bilingual children demonstrate better analytical and problem-solving skills, improved capability for abstract thinking, good multitasking abilities and more. 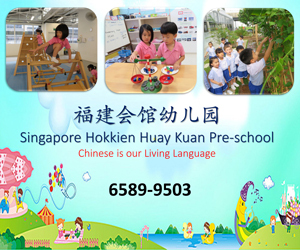 Raising bilingual children is a challenging long-term commitment – this is where Singapore Hokkien Huay Kuan Pre-school (SHHK Pre-school) comes in. Established in 2014, SHHK Pre-school offers a holistic bilingual curriculum that incorporates practical life skills and strong character development for children aged three to six years old. 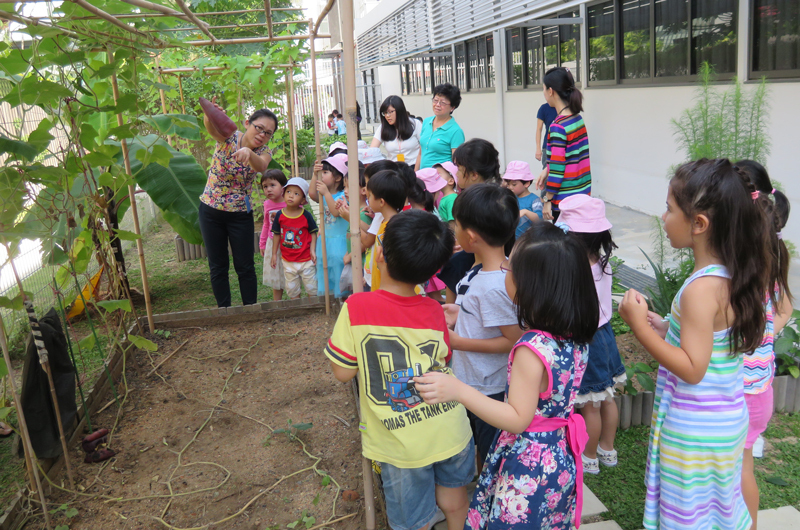 Beyond adopting the curriculum framework set by the Early Childhood Development Agency, SHHK Pre-school extends their approach to include syllabus incorporating Applied Living Skills, Holistic Character Development using Chinese materials and nurturing eco-habits and respect for Nature through Living Garden projects. The programme aims to nurture future-ready, lifelong learners inculcated with SHHK Pre-school’s eight core values: Care, Harmony, Integrity, Perseverance, Resilience, Respect, Responsibility and Sincerity. Within a comfortable, home-simulated environment, children of different ages come together to learn through purposeful play and sustained exploration. SHHK Pre-school adopts a Plan-Do-Review model, which emphasises active participatory learning and encourages a sense of purpose and reflection. Teachers act as facilitators, providing support to children as they put their thoughts into action through curated activities that are planned and carried out by the child. This approach gives young learners the opportunity and freedom to construct their own knowledge through interactions with their environment, teachers and peers. At SHHK Pre-school, the language medium starts at 80 per cent Chinese and 20 per cent English at N1 & N2 levels, before kicking into 70 per cent Chinese and 30 per cent English for K1 and 60 per cent Chinese and 40 per cent English for K2. Children participate in a diverse range of activities that incorporates Chinese culture and heritage, and encourages exploration and understanding of Chinese as a living language. For example, the syllabus includes music and movement programmes that serve up fun exposure to both Chinese and Western music. Additionally, children are able to participate in movement lessons incorporating wushu and dance elements that are specially designed and conducted by professionals. Through the holistic bilingual education at SHHK Pre-school, every child is equipped with the practical knowledge, language capabilities, soft skills and confidence needed to excel in the classroom and beyond! *All prices subject to GST.